My sweet tooth is not a new thing, ever since I was a child I knew I had a high tolerance for all things sweet. 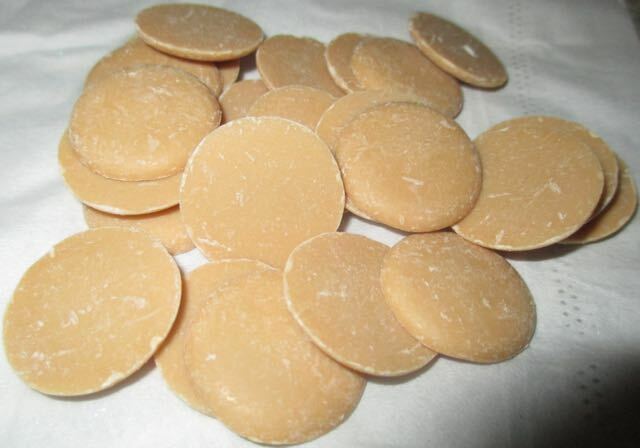 Caramac was a favourite “chocolate” of mine and I used to love the thin bars, wrapped in their red wrappers. I would eagerly munch down on the toffee flavoured chocolate and can even remember its texture being slightly grainy. I know its not technically chocolate, but it is the closest thing I can compare it too. I have such fond memories of receiving a Caramac Easter Egg one year… those were the days. When I was browsing the sweets and chocolate items in Poundland I spotted these new Giant Caramac Buttons and they brought back such good memories that I had to pick them up. I hadn’t intended to review them, yes they are new, but only in shape. Caramac has been available in the UK since 1950s. I opened up the bag and inhaled the aroma, it wasn’t that distinct, slightly caramel like. I was immediately disappointed by the shape too, “giant” buttons means something more akin to being palm size, like the Yorkie Man Size Buttons, not ones which are just slightly bigger than a pound coin. Oh well, it was taste time. These were sweet, the definition of the toffee that I was expecting was barely there. Just a slight hint of caramel, but not that sweet strong flavour, these were just vegetable fat and sugar. The texture was smooth too, not like I remember. I became bored of them very easily, the magic was gone. Yes childhood memories aren’t that reliable, but this just wasn’t right to me. Have you tried them? Do they meet your expectations compared to childhood memories? In my opinion they taste and feel so different. I really liked these, although I agree they're not as good as the original bar. But then that's the case wth a lot of sweets now; they're bulking up chocolates with extra veg fat and sugar, even Cadburys. Haha! Caramac was only ever veg fat and sugar! Burns my throat. Don't like. I didn't like these either, taste nothing like the caramac bar. Turns out Nestle have played with the recipe to be able to get them into buttons. Paul ham - Shame, I have such a sweet tooth! I stopped eating chocolate 20 years ago and so ate the odd Caramac bar. I liked them but could do without them. 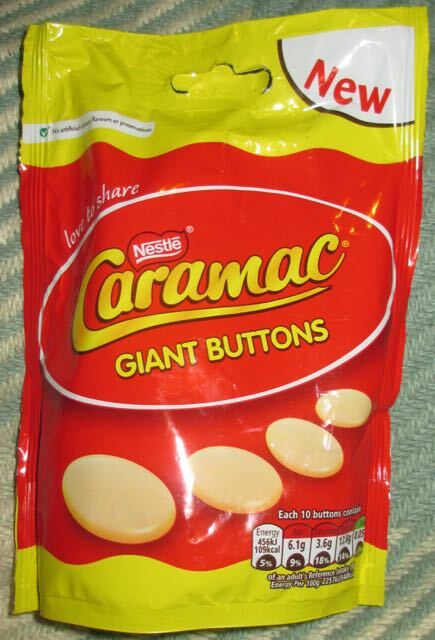 Until my friend found Caramac Buttons on the shelf!!! I am completely addicted!!! They DO taste different, and in my opinion 100% nicer in every way. Smoother, and more creamy and don't burn your throat. Cant open a bag without finishing them !!!! Love, love, love them! !